The industrial barbell, the extra long piercing that is supposed to be worn in the ear where it should pierce two spots. The industrial barbell is know for its sturdy and cool look, this one is no exception. 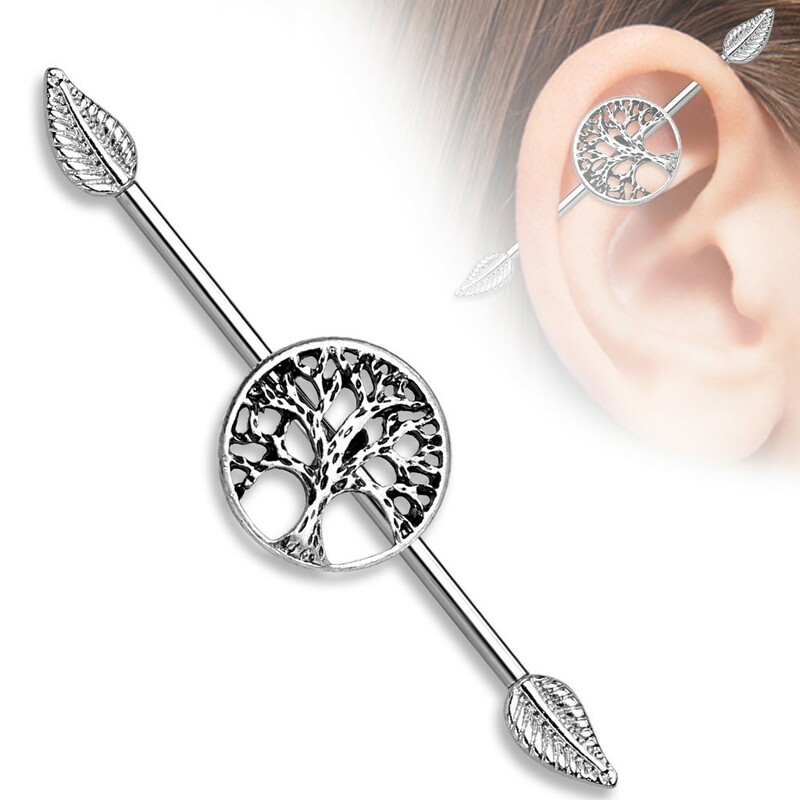 This industrial barbell carries the characteristic Tree of Life. The tree that stands as a symbol for all things alive. Depicted on a round disc of approximately 1.5 cm in diameter always clearly visible. The finishing touch is delivered with the feathers on the endings. Rather than regular balls this barbell carries feathers that are easily recognizable with their strong relief. Although this industrial barbell is made of surgical steel the Tree of Life carries a layer of silver. The silver has been brushed giving it a suiting vintage look.